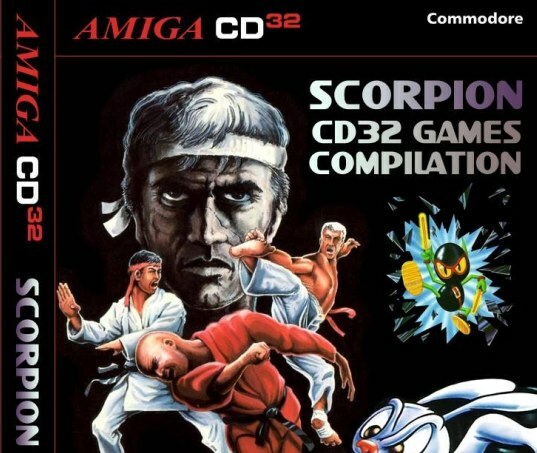 Indie Retro News: Scorpion CD32 Games Compilation Vol 2 - Amiga CD32 release! 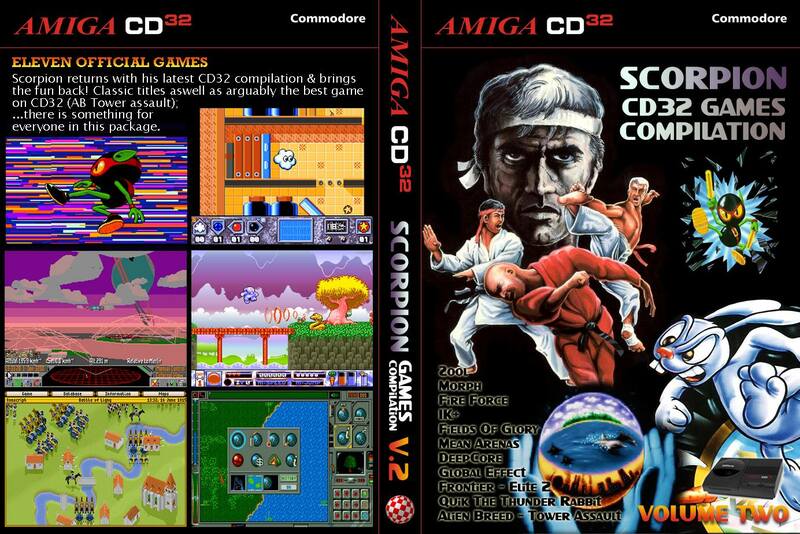 Scorpion CD32 Games Compilation Vol 2 - Amiga CD32 release! Hot off the press Earok has just released another fantastic Amiga CD32 compilation featuring eleven officially released games packed onto one CD! Unlike the usual porting of games that never appeared on the CD32 this 'Scorpion CD32 Games Compilation' has many games that did appear on the CD32 but have been put together to give you hours worth of enjoyment without ever having to swap discs. Games list includes awesome retro gaming classics such as Alien Breed Tower Assault, Deep Core, Fields of Glory, Fire Force, Frontier Elite 2, Global Effect, IK+, Mean Arenas, Morph, Quik The Thunder Rabbit and Zool! One minor issue to note: Because they both feature CD music, Zool's second "get ready" audio is replaced by audio from Global Effect. Other than that, the games are exactly the same as they were on their original release. Make sure you burn the .cue file rather than the .iso.